It is a bigger size structure, which besides working as a seat, it can be used to store and organize objects. It includes vertical mountable panels, with woven Totora as a way to explore the material and show its versatility. 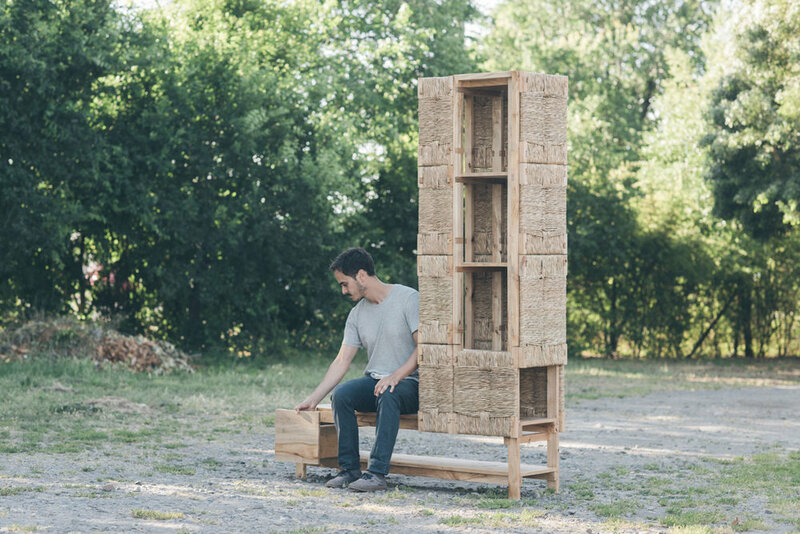 This final piece is a proof that furniture design can go beyond its traditional uses.